The cricketing trends on social media today revolved around a lot of birthdays of the Indian cricketers and a couple of masterful centuries. The fraternity was busy wishing the likes of Jasprit Bumrah, Karun Nair, Shreyas Iyer, RP Singh and Ravindra Jadeja as many opted to send them wishes together. Currently, Bumrah and Jadeja are in Australia playing in the first Test against the home side while Nair and Iyer are in New Zealand representing India A.
Amidst all these birthday celebrations the cricketers were left overawed by the gutsy centuries smashed by Kane Williamson and Cheteshwar Pujara. Both of them bailed their respective teams out of trouble in extreme conditions and the special thing about their knocks was that they were away from home. Williamson was supported by Henry Nicholls at 60/4 in the UAE and both of them have virtually batted Pakistan out of the game now. On the other hand, Pujara witnessed his teammates depart by playing extremely poor shots on a batting paradise. But India’s number three didn’t give up and fight till the very end to play a sublime knock of 123 runs and help the team post 250 runs on the board for the loss of nine wickets. Rohit Sharma, Ravi Ashwin and Ishant Sharma supported him well even Mohammed Shami has also done well so far and it will be interesting to see how many runs India will add tomorrow. Congratulations @yasirshah on breaking 82 year old record, fastest to 200 wickets in test matches. 🇵🇰 is proud of you. There are so many lovely things about the great land of Bharat. Which is the thing you love most about our country ? 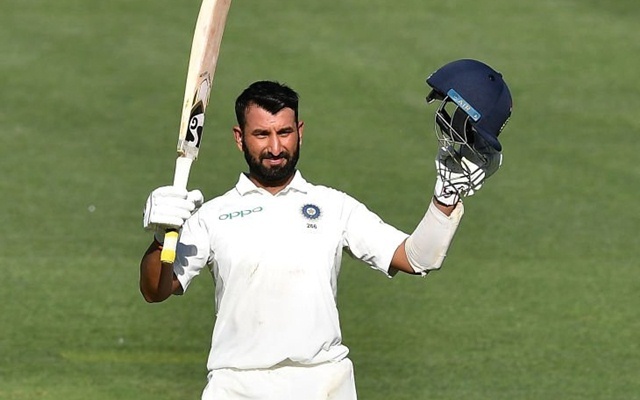 Keeping to it’s heart racing unpredictable billing this thriller has now NZ as the assassin with Williamson going for the kill with the most brilliant hundred..
A display of tremendous resilience , grit and fight from @cheteshwar1 Pujara. A really special innings.